It sounds like the beginning of a joke: So, Johnny Cash, Elvis Presley, Carl Perkins, and Jerry Lee Lewis walk into a recording studio …. 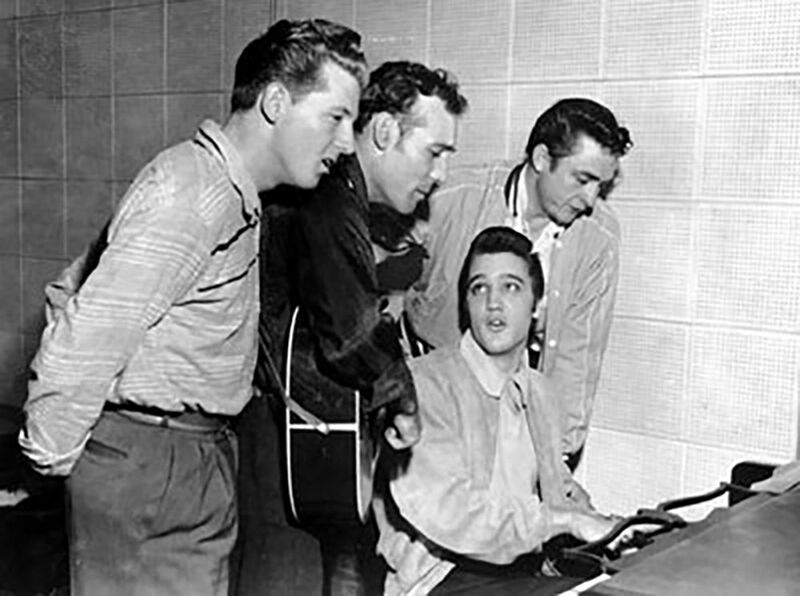 But in December of 1956, this foursome just happened to all be in the same recording studio — Sam Phillips’ Sun Records in Memphis — at the same time and all in the mood to jam. A recording and rock ‘n’ roll history was made that day. Million Dollar Quartet by Floyd Mutrux and Colin Escott is a classic rock musical about that special day. Million Dollar Quartet: Thursday, 7:30 p.m.; Friday and Saturday, 8 p.m.; Sunday, 2 p.m.; Wednesday, 7 p.m. $23-$33. Runs through Oct. 23. Majestic Theater, 131 Elm St., West Springfield. (413) 747-7797, majestictheater.com.